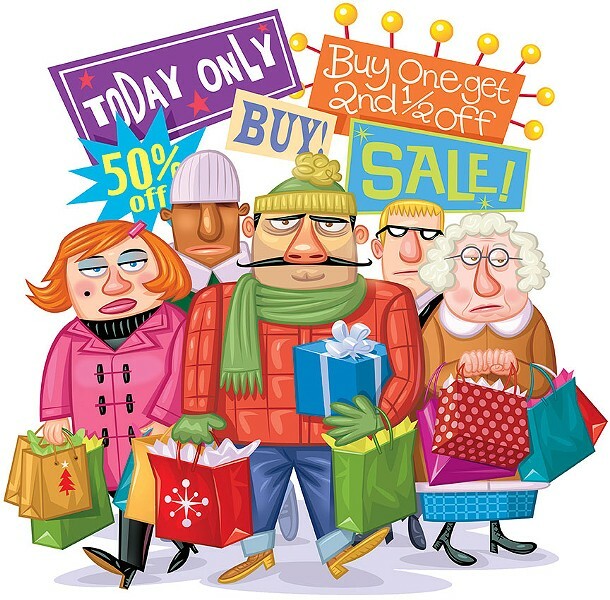 As lovely as it sounds to wake up earlier than a special ops squad and be pressed to the glass doors of a big retailer, only to be hip-checked by some aggressive shopper, there are alternatives to Black Friday madness. You could stay home and relax with a hot cup of coffee and a cold slice of leftover pumpkin pie. But if you really need to get that holiday shopping going, maybe try someplace a little mellower than a parking lot full of bargain hunters pawing the ground before the stampede. How about going handmade? The Folks Craft Fair is on at the Ferndale Veterans Memorial building on Friday at 10 a.m. (free), and Saturday brings the Holiday Indie Craft Show benefiting the Trinidad Library at Trinidad Hall at 10:30 a.m. ($2) and the Mad River Grange hosts the Christmas Art and Craft Fair from 11 a.m. (free). Or you can take Small Business Saturday to the next level. Get your Arcata Plaza Passport stamped (pick one up in a shop on the plaza) and you'll have a chance to win an iPad Mini or one of six prize baskets with all kinds of local swag. Shop at one of Fortuna's 75 participating businesses for free passes to The Smurfs and Arthur's Christmas, showing on Dec. 7 and Dec. 21 at the Fortuna Theater. Oh, and the movies are chaperoned, so you can drop the kids off and get them later. See? Shopping doesn't have to hurt.